Well you can't plan one on Boxing Day, you're too sleepy and worn out from Christmas Day, I guess murder planning is a 27th of December sort of thing? There is something very surreal about the fact they made Chase look like he's 21/22, but Molly still looks like she's 11. I thought that was when extended family really brought the major drama. The fact that they went pretty hard in reminding that Alex still is a cold-blooded murderer did make me feel a lot better about the direction of the story. 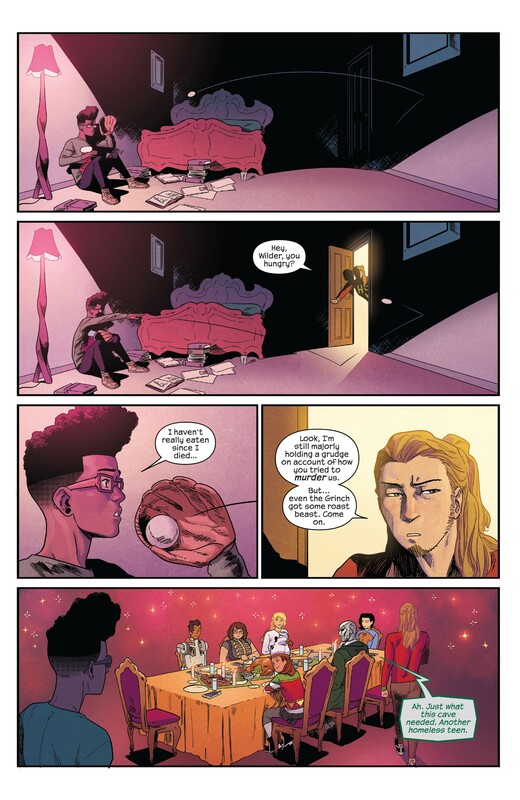 Is Doom just chilling with the Runaways now? 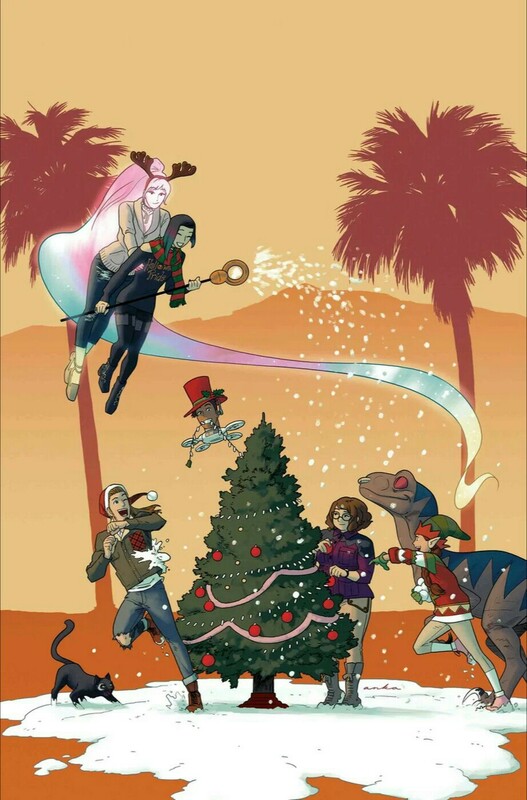 Is that a recommissioned Doombot? Either way, loving the sass. 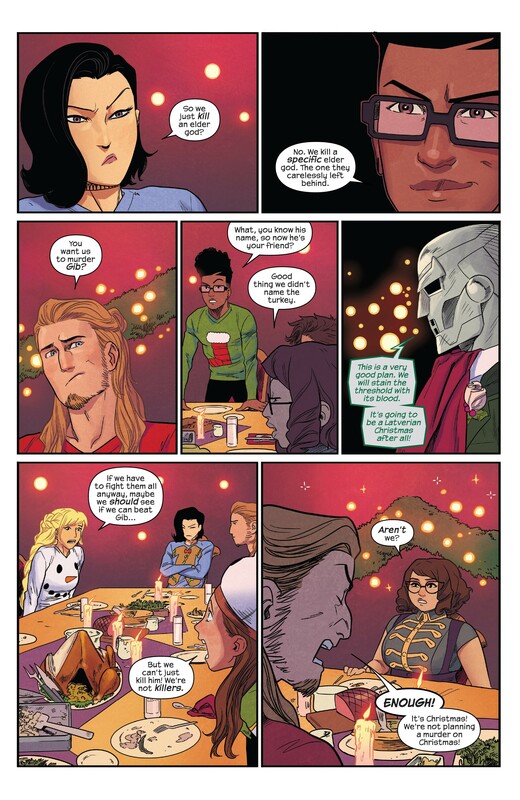 It’s a Doombot that’s friends with Victor. 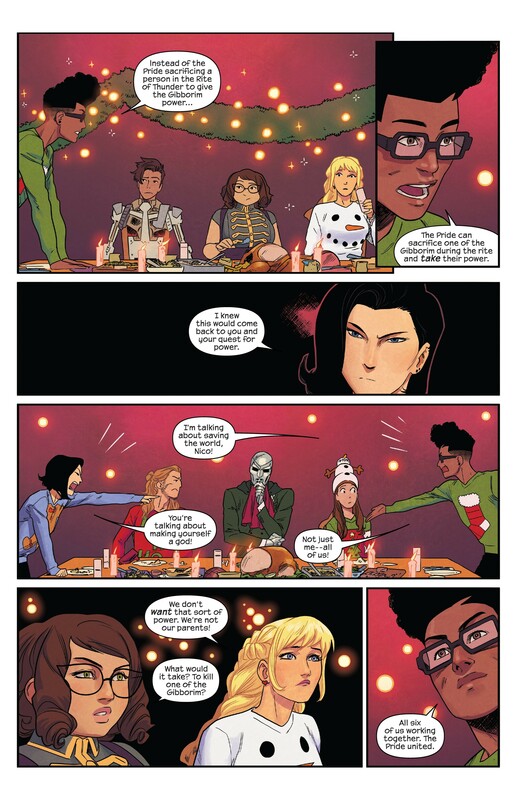 I wonder if this Doombot will ever meet the Doomhead hanging out with Lunella Lafayette. Its so interesting that Gert is willing to listen to Alex's plan, that she's open to the idea of killing anyone, let alone an Elder God. 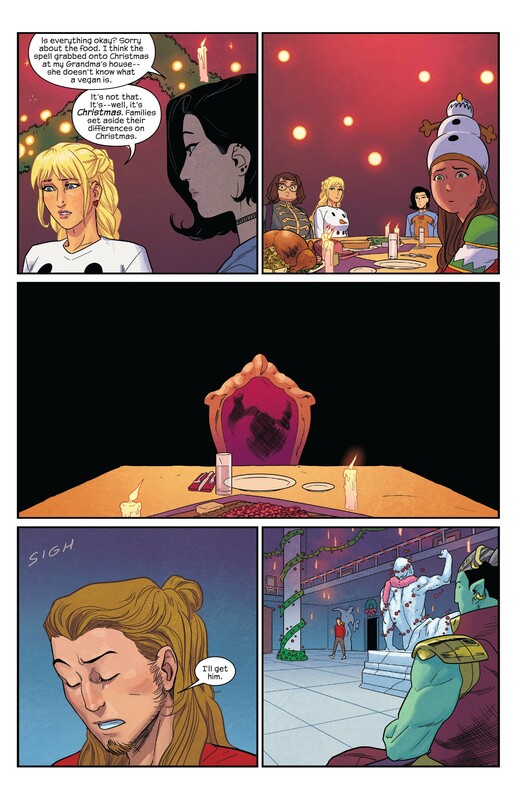 That she isn't shying away from the fact that the Runaways have been responsible for deaths (their parents) in the past. It's been so long since she died that I honestly forgot how ruthless and pragmatic she could be. Chase is right, you should at least wait til Boxing Day to start planning murder.